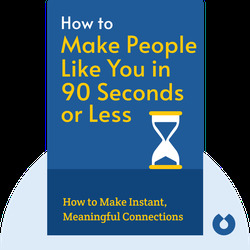 How to Make People Like You in 90 Seconds or Less (2000) is a guide to connecting, communicating and expanding your social world. These blinks will teach you how to strike up a conversation with strangers and make them like you. It’ll also show you how to decode even their most subtle gestures. 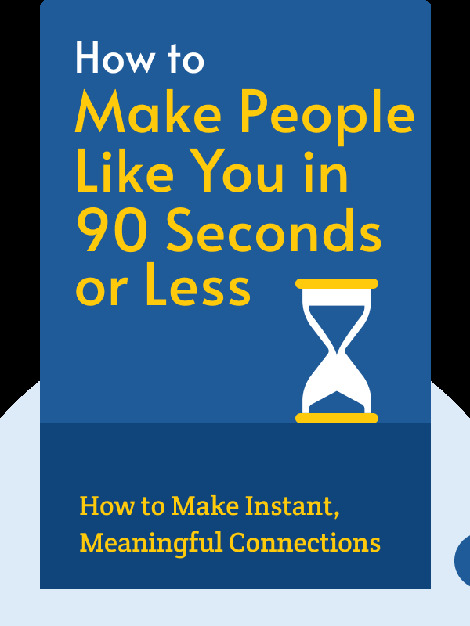 Being likable is an art you can ace. Nicholas Boothman is a former fashion and advertising photographer who has spent the last two decades studying how people connect and communicate. He is an expert in neuro-linguistic programming.